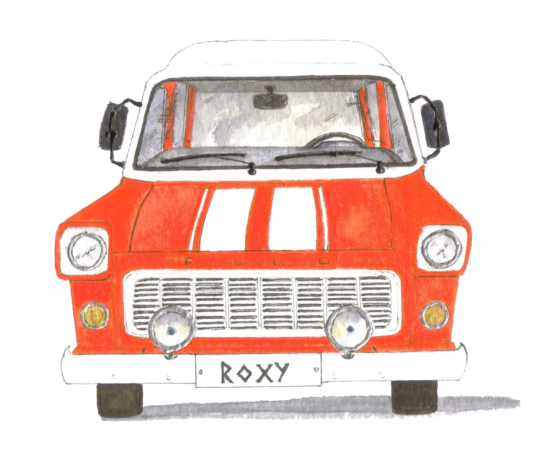 Well no its not, nevertheless we are undeniably big fans of Human league… However, before our story goes on, you should know that Roxy is a 1972 MK I Ford transit, who was owned by a crazy petro-head bar owner in Dubrovnik called Knok. One evening when exploring Dubrovnik Roxy caught our eye, looking run down but there was a spark! We had a good feeling that she would bring great things to our future, therefore we couldn’t leave her behind. 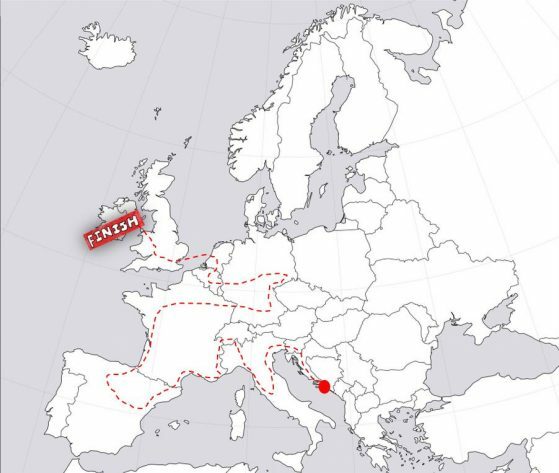 With much negotiation, Knok finally agreed to part with Roxy, and so started our road trip around Europe encountering the most amazing food, festivals and people. Our European food escapades, began in Croatia, through Bosnia then onto Slovenia for a short stop, it wasn’t long before we were smelling the beautiful aromas of Italy’s pizzerias in the alluring city of Rome. We re-enacted “la Dolce Vita” with our Vespa friend who showed us some of the best spots. Roxy watched us float through the “Canal Grande” on the gondolas through Venice, experiencing the divine foods that we were so sorry to leave behind. Switzerland was our next stop; it was short and sweet and we experienced foods such as their glorious cheeses and luscious chocolate. Marseille allowed us to relish in the flavours of the French coast. It wasn’t long before we moved onto the Iberian Peninsula visiting Barcelona for its garlic, oils, tomatoes and the famous Bombas. Madrid had our mouths watering not only because of the delicious foods found at the markets but also because of our trip to one of the oldest and most famous bakeries known as “la Mallorquina”. The Madridians had us tasting the sweet chocolate churros along with the rest of their pastries. They nearly had to roll us onto our next location, which would not have been ideal because we were chased by bulls through the streets of Pamplona, hardly getting the time to taste the foods of this town. Our next stop was San Sabastian where we had an interesting experience with pigs’ ears… We returned to France which allowed us to experience more than just their fish, such as their wine, cheese, snail’s, frog’s legs, bread and lots more. We raced out of Le Mans and onto our next stop, which is known for being the heart of western Europe: Germany!… well-known for its beer and sausages: we tasted the currywurst and the bratwurst, as well as some of their other specialities such as the Schnitzel, Leberkäse and Bratkartoffeln. Brussels was our main location in Belgium where we enjoyed mussels and French fries for dinner and waffles for dessert (did you know that French fries were not from France but from Belgium?). The Netherlands was next; we tried loads of wonderful foods there, such as Stroopwafels, Bitterballen and Rookworst. Finally, the last leg of our journey brought us through London visiting cool markets such as Shoreditch and Camden; these markets allowed us to re-experience some of the wonderful foods we had tasted throughout our trip, all in just one location! We were eventually rolled out of the UK by the Cooper Hill Cheese Rolling which landed us back in our Beautiful Green Isle. When we settled back in Dublin we took inspiration from our many amazing adventures through Europe and London’s diverse street food scene, seeing the creation of Artisan Events! Come join us on our next stage of our journey!